Although, hard to find Microsoft offers KMS setup keys freely and publicly at technet and as shared below. To use and activate these keys all a user needs to do is to open an administrative command prompt on the client, and type slmgr /ipk followed by ENTER. Do note that this requires a KMS server to be configured and present, the so called Windows 8 crackers are basically KMS activators which simply configure a KMS server to use and apply the above command to activate. Hey Mr, read the damned article. It tells you how to run the activation right under the key lists. 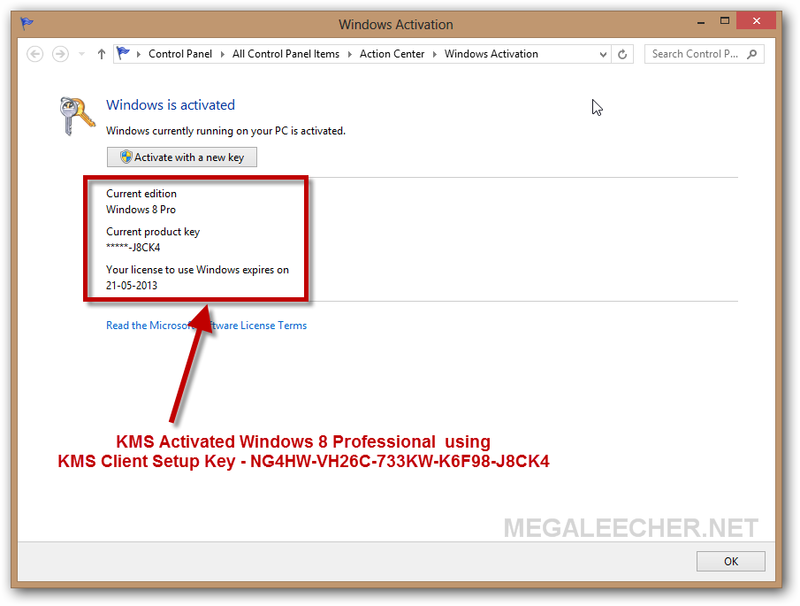 A computer repair guy I found on facebook installed office 2016 and windows 10 pro on my computer and used KMS activator ultimate to validate the activation keys. he didn't tell me how it works or that after 180 days the software becomes unusable. I had to spend $350 buying the legal activation keys for software i'd already paid him to install. is what he did illegal? Can anyone help with the product key for Office 2016?